“The First of the Five Sacred Mountains”, Mt Taishan is held with high regard by the Chinese people. This mountain is known as a sacred place where the emperors offer sacrifices and conduct meditation during the Zhou Dynasty. Seventy-two emperors were recorded to have visited this mountain. The peak is at 1,545 m above the sea level. Because of the frequent visits of various royalties, several artifacts including literary poetry, paintings, and other cultural relics are found in the mountain. Mt. Taishan is located at Taishan City of Shandong, China. The sacred mountain is said to influence sunrise, renewal, and birth. Pilgrims frequent this place for meditation over the years. A visitor can also see an example of a fault block mountain. The broken faults are due to bedrock misalignment. These are visible on the mountain’s side creating astounding vistas. Natural bridges formed by the overlapping of large rocks are great examples of natural landscaping. 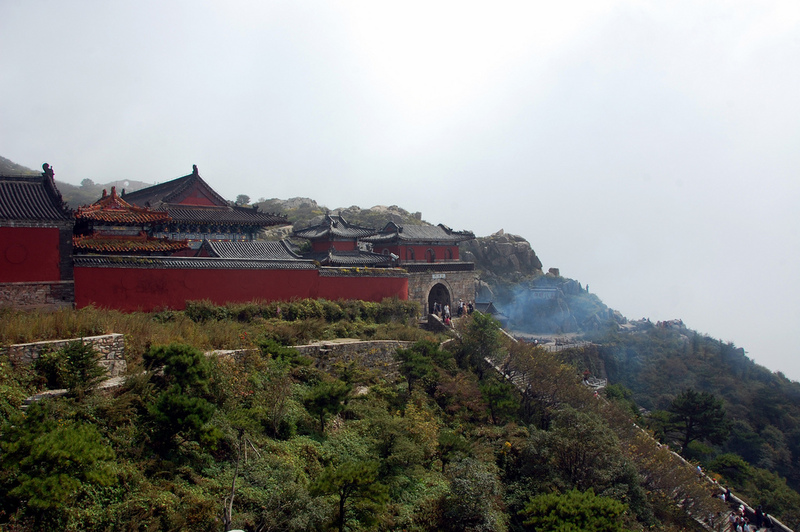 The Taishan temple is found at the mountain’s foot. The Azure Clouds Temple is at the mointain top. Both showcase magnificent architectural compositions made from wood, bricks, metal, and stone combination. The temples hold ancient stone tablets with inscriptions. The pathway connecting the 2 buildings offers great scenery and different views of the place. In addition, there are 22 temples, 11 gates, 14 kiosks, 14 archways, and 4 pavilions that are within reach. For more scenery and less artifacts, a visitor can opt to follow the west route of the mountain. The 7,000 steps from the South Heaven Gate give a feeling of nostalgia after reaching the tip of the mountain. Mt Taishan is a great tourist destination housing important monuments and artifacts. The caretakers of Mt Shian did a great job of preserving the history of their culture. it really helped me with my diary.